Old ACC rivals collide once more, as Maryland and first year head coach D.J. Durkin square off against a Boston College team still trying to find their offense. The Terrapins opened up the 2016 campaign 4-0 before Big Ten play hit and their flaws became clear. The Terps also struggle to score the ball, although the offense had its moments at times this past season. Quarterback Perry Hills had a rocky senior season, but has a quality 10-3 touchdown to interception ratio. Sophomore Ty Johnson also put together a quality year, quietly rushing for 845 yards and four scores. Running behind a talented offensive line, Maryland should be able to move the ball. However, BC is not an easy team to move the ball against. Despite the fact defensive coordinator Don Brown left to take the same gig at Michigan, the Eagles have not missed a beat on defense. The group has the eighth-ranked total defense in the nation, and allows just 5.8 plays per game. Defensive end Harold Landry will play a huge role in this one; the pass rusher is hoping to become the nation's leader in sacks, having 15 on the season so far. The key for the Eagles will be scoring themselves. Kentucky transfer Patrick Towles beat out others to win the starting quarterback job, but wasn't exactly wonderful. Towles has had statlines of: 3-11 for 29 yards in a loss, 10-23 for 74 yards in a win, and 9 for 28 for 80 yards in a blowout loss. At times, the passing game has been so bad, the Eagles have simply had to abandon that part of that offense altogether. Maryland is not a wonderful defensive team, but the secondary may be the strength of this team, with corner Will Likely making plays. Unless Towles can suddenly turn his season around in his final game, Boston College will be extremely limited. Back Jon Hilliman was okay at times this past season, but the rushing attack lacked any type of explosiveness and hasn't shown it can carry BC. While a number of the early bowl games have been highlighted by plenty of big plays and scoring, this one could be the polar opposite. Neither team has an offense that scares anybody, and BC could shutdown Maryland. Even with that in mind, the Terrapins are the smarter pick. They are slightly more balanced and physical than Boston College and may have slightly more momentum. It hasn't got the attention it deserves, but Derek Mason has had a great year in Nashville. In Year 3 with the Commodores, Mason has elevated them back to a bowl game, after two rough seasons inside the SEC. 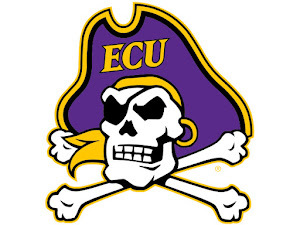 Now, they'll look to continue what may be a breakthrough season by taking down the confusing NC State Wolfpack. NC State has had two big wins this season, beating Notre Dame and toppling UNC in Chapel Hill, but have also had some putrid performances. A beatdown at the hands of Lamar Jackson at Louisville comes to mind first. The key for them has been their rushing attack, which has been centered around veteran Matt Dayes. Dayes doesn't get a whole lot of love from the media, but he ran for 1,119 yards and 10 touchdowns so far in '16, and can break open games. Boise State transfer Ryan Finley has also quietly put together a strong season, passing for 2,820 yards with 15 touchdowns. That should be enough to test a Vanderbilt team built on their defense. The former D-coordinator at Stanford, Mason has always prided himself on defense, and has brought that mantra to Vandy. Zach Cunningham may be the best defensive player you've never heard of. The linebacker had 119 tackles and 16.5 tackles for loss en route to All-America honors. He will lead a disciplined and aggressive Commodores' defense. The Wolfpack defense will also be out in full force in this one, as they ended the year playing well. Defensive end Bradley Chubb is among the ACC's best, and should look to wreak havoc against an inconsistent Vanderbilt O-Line. Offensively, Vanderbilt also has a solid crop of weapons that haven't got the recognition they deserve. Workhorse running back Ralph Webb has rushed for 1,172 yards on the year and becomes especially lethal in the second half, when his stamina helps him run all over tired opposing defenses. QB Kyle Shurmur had some ups-and-downs but seemed to get very comfortable towards the end of the regular season. The son of former Browns head coach and current Vikings' OC Pat, Shurmur makes the right decisions and has a great feel, but the offense still doesn't make many big plays. If he can find something over the top, that would open things up for Webb, something that hasn't happened enough this season. Motivation factors should be high in this one. 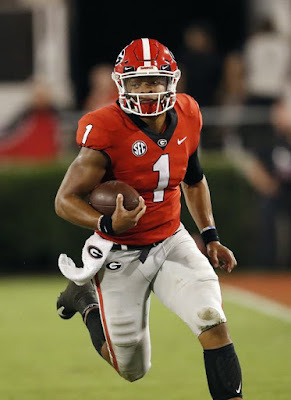 Vanderbilt is trying to prove they are once more a serious contender in the SEC East, while NC State is hoping to prove they can win under hot seat head coach Dave Doeren. I actually like Vanderbilt to win this one; they are the better defensive team and Webb should do enough to secure a close win. Feel like you've seen this one before? Thats because you maybe have. Earlier in the season, North Texas beat Army 35-18, and now the two will meet once more in the Heart of Dallas Bowl. The Mean Green finished with just five wins on the year, but earned a bowl berth due to high APR scores. They have some talent on the offensive side of the ball, but the group struggled in the season's second half. Back Jeffrey Wilson ran for 13 touchdowns and pounded opposing C-USA defenses at times, but also runs behind a poor offensive line. Meanwhile, signal-caller Mason Fine will look to add on to a relatively poor statline. Fine enters the game with just 1,572 yards and six touchdowns. Army is a strong defensive team, led by linebacker Andrew King who has 88 tackles. Yet, UNT did hang 35 on them earlier on, so it will be interesting to see how much offensive success the Mean Green have. Meanwhile, Army has had a breakthrough season, winning seven games and beating Navy for the first time in years. They also beat eventual American Athletic Champ Temple, so this is a team that has proven they are legit. They will led as usual, by their triple-option offense. Quarterback Ahmad Bradshaw has more rushing yards (646) than passing yards (622) but can break open games with his impressive speed. He will be helped by an abundance of weapons in the backfield, namely Andy Davidson, who had 905 yards and 11 touchdowns. Army also has underrated receiver Edgar Poe, who recorded 321 yards and made some acrobatic catches along the way. Armys impressive rushing game should strike fear into North Texas. The Mean Green's defense has not been very good, particularly against the run, confirmed by them allowing 301 yards to UTEP back Aaron Jones. Unless the group suddenly figured things out in the few weeks leading up to this one, they could really struggle. Army should be pumped up and ready to go, considering it is their first bowl appearance in 20-something years. While UNT did beat them earlier, this is a different Black Knights' team and one more more motivated. They should be able to get the job done. Both Temple and Wake Forest enter this Military Bowl in weird, interesting places. Temple started off slow before finishing the year off on fire before earning a conference title. Then, they watched as popular head coach Matt Rhule decided to jump to Baylor, before replacing him with Florida defensive coordinator Geoff Collins. Meanwhile, Wake Forest opened up the year 4-0 before their tough schedule caught up with them. Then, reports of a former radio announcer for the school giving out information about the team to opponents broke, and the fallout is still happening. Even with those distractions, this should be a pretty good game. 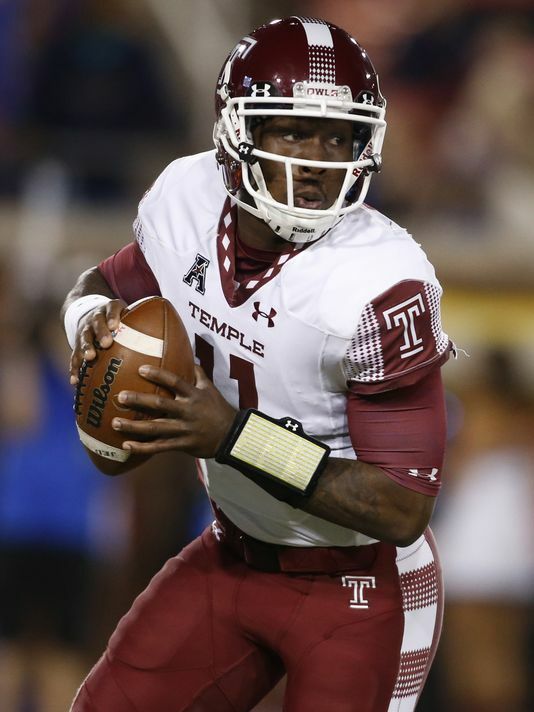 Temple is immensely talented, led by perhaps the best quarterback in school history in P.J. Walker, a dual threat. Walker is helped by explosive back Jahad Thomas (918 yards, 13 touchdowns) and receiver Ventrell Bryant. That should be enough to score plenty of points, but Wake's defense is not the pushover it once was under Clawson. The group played well this season, holding Florida State to just 17 and Louisville to just two scores before the Cardinals got it going in the second half. The key for the Demon Deacons (much like Boston College) will be how much they do themselves offensively. Clawson, who was formerly at Bowling Green, was well known for his offensive expertise but it has not really translated to Wake. Running backs Matt Coburn and Cade Carney both have had solid seasons, but aren't exactly game-changers. Quarterback John Wolford continues to work on his consistency. Wolford can run the ball very well, rushing for over 500 yards on the year. However, he leaves a lot to be desired passing the ball, with just seven touchdowns and nine interceptions this year. The Owls did lose a lot from their defense this past season, namely Chuck Bednarik Award winner Tyler Matakevich. The group struggled to replace him early, but has figured it out. With that in mind, I still like Temple to win, even if Rhule is gone. The Temple program has become one that can withstand their head coaches moving on (only got better after Al Golden left to Miami and Steve Addazio left to Boston College), so don't expect a big drop-off. Behind Walker and Thomas, the Owls should get it done.